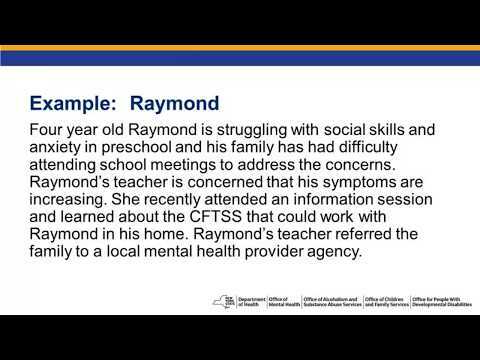 This webinar was intended as a refresher for OLP, CPST and PSR and reviewed what was presented on those services at the in-person Children and Family Treatment and Support Services trainings held in May and June. This training also covered additional context and examples. FPSS refresher and other relative information will be presented at a later time. -Providers, serving individuals under 21 who are designated or plan to be designated to provide the new Children and Family Treatment and Support Services: OLP, CPST, and/or PSR.